As a Natural Clairvoyant who uses Tarot cards to earth her abilities. Blue Paraiba has many years of experience doing face to face reading and telephone consultations, nationally and internationally. As well as her clairvoyant, clairsentient, clairaudient and claircognizant abilities, Blue Paraiba works with her own spirit guides. Blue Paraiba finds the Tarot cards, at the start of a reading, and can then cut quickly through the psychic fog, and act as a bridge across forever upon which she can better build the connection for answers to come. I enjoy listening to people, and a good motivator where I genuinely like to help people. I am genuinely interested in people and find that I like to work with my guides to help people to guide them back onto the right path. I have made many predictions about important events in my life and these have now come to pass. I like to use my insight to provide people with a lot of comfort and to provide clarity when dealing with life’s challenges. As a Pisces I am very friendly, and often find myself in the company of very different people. I would like to say as a Pisces, I am selfless, and always willing to help others, without hoping to get anything back. Pisces is a Water sign and as such this zodiac sign is characterized by empathy and expressed emotional capacity. When growing up, I always felt different from other people I would become sensitive to people needs and found that I wanted to find various ways to help them. Having been born into a family of female psychics, I have spent most of my time being brought up with a good understanding of the spirit world, and have been visited many times by spirits wanting to come through. I have many memorable experiences with clients and it is difficult to pinpoint one particular reading. All I know is that I enjoy assisting and helping people to overcome their fears and obstacles in life, and I like to work with my guides to help them to put them back on the right path. I like to work with people to release their negativity and help them to feel more positive after a reading. I have 20 years’ experience in psychic reading and use my spirit guides and the tarot cards to provide insightful and accurate readings. I have four master’s degrees, and I am now in the process of completing my Educational Doctorate. In preparation for having a reading, it is important to learn to relax and have an open mind. It is also important to choose a reader that you feel drawn to and have a good connection with. Lovely lady who asks few questions. Sorry I couldnt have a longer reading but will be back. Very genuine and helpful. Many thanks. Immediate connection! What a fantastic, accurate and genuine reader! The best reader on psychic sofa for me! Very, very lovely to talk to. A warm and gentle voice, very, very strong connection to spirit. Highly recommended!!!!! Wow! Fantastic reader Connected immediately and fabulous accuracy! Will call again! My first reading with this exceptional gifted Lady. She immediately talked about the past and presence without hestitation and the postive changes ahead of me. Worth a call !!  ??? 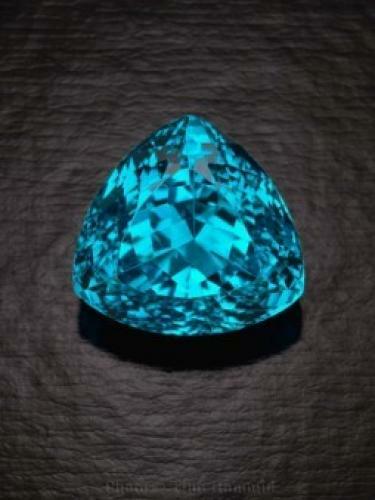 Leave feedback for "Blue Paraiba".